How important is to Drug Test? For a lot of people the answer is very easy but in reality there is a complex issue that affects companies and their employees. For many years the war on drugs has been fought but the reality is that people still use illicit drugs but also on the rise is the use of unauthorized prescription and synthetic drugs (K2 - Synthetic Marijuana and Molly - MDMA). More than a black and white issue or an employer dictating how a employee must behave outside their work schedule, for most companies the real issue involves labor security and how drugs in the workplace impacts companies losses. · 24% Their organization didn't believe in drug testing. · 18% They are not require by the state to drug test. · 16% The cost of drug testing is too high. · 16% Saw no return on their investment on a drug test policy. · 7% It's too difficult to administratively manage a drug test program. · 2% They are planning to drug test in the future. From a study in 2007 by Substance Abuse and Mental Health Administration (SAMHSA) this type of worker will have a trend to change jobs more often. This can impact dramatically worker turnover in a company. This relates to cost of training, slowing down company productivity, and performance. 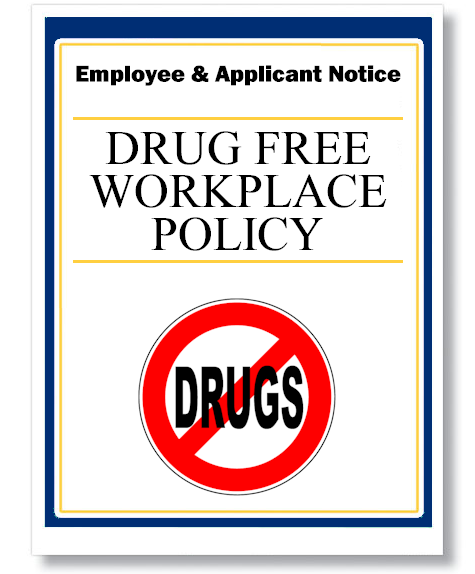 Data from the Society of Human Resources Management (SHRM) shows that employee turnover decreases by 16 percent when drug testing program is in place. The same data showed a drop from their respondents of 50 percent in their workers' compensation after they implemented a drug test program. This cost preventing measures are the reason why drug testing in the workplace is so important for companies and provides the ROI to their "Bottom Line"once the program is implemented that helps keep the work environment safer.